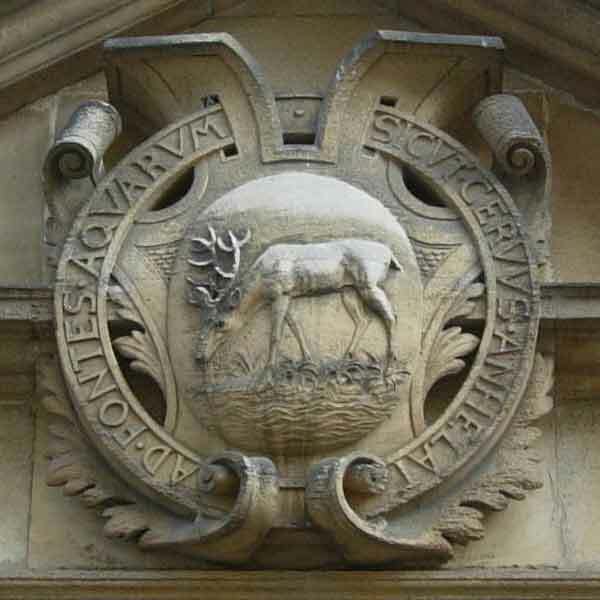 This motto over Hertford College’s main entrance is taken from from Psalm 42:1. The college is descended from two ancient university halls: Hart Hall and Magdalen Hall. This central section of the main part of the college was built by Jackson between 1887 and 1889; but the door with scrolly flowers underneath this inscription dates from the mid-seventeenth century.